Children receive a free lunch at Harris Elementary School in North Austin in June 2017. For Texas students who eat breakfast and lunch on campus during the school year, summer break can be a difficult time to secure three full meals a day. During the summer, parents and guardians, especially in low-income households, are working, in part, to cover the cost of providing those two additional meals. That’s why many school districts in the state and across the country provide free meals for students 18 and younger through the federal Summer Food Service Program. School districts participating in the program do not require identification or registration. Students, regardless of economic status, can get meals. Twenty-two million children in the U.S. — three million in Texas alone — qualify for free or reduced-priced meals through the National School Lunch Program. However, just one in six students gets the benefit in the summer due to lack of transportation to participating sites, education about the program or limited resources when schools are closed, according to Feeding America. 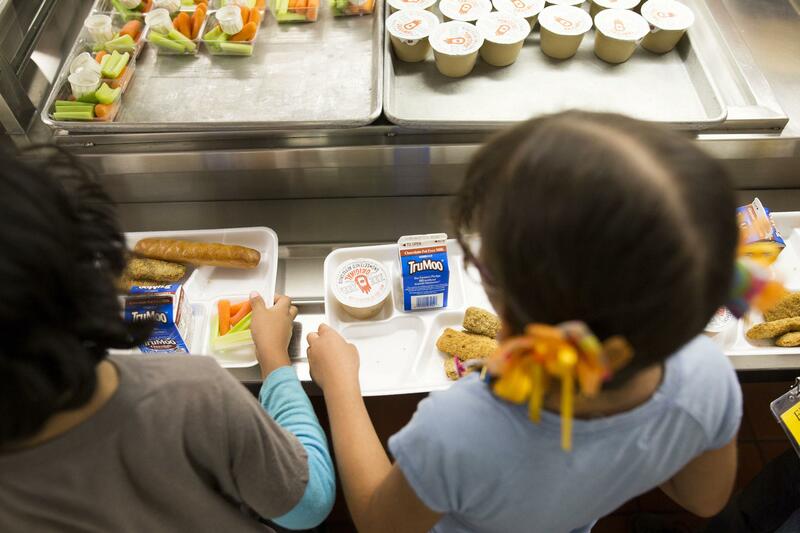 “It’s a huge concern from USDA’s perspective because there’s a very large gap of children who are eligible for those meals who are not receiving them in the summertime,” Eddie Longoria, director of special nutrition programs for the U.S. Department of Agriculture, told KERA in 2016. “So that means that those children who are not receiving those meals are at risk of going back to the school in the fall and the possibility of them not being completely healthy,” Longoria said. Lack of nutrition and food insecurity not only hurt kids’ health and ability to learn but also contribute to a cycle of bullying, according to a North Texas Food Bank study conducted in Dallas County and released earlier this year. State education leaders and thinkers agree that poverty is playing a bigger role than ever in education. “The majority of students in public K-through-12 education require free and reduced lunches just to be able to ensure that, when they show up to school every day, they have had nutritious meals that allow them to participate fully in the educational experience,” said Michael Sorrell, president of Dallas' Paul Quinn College, during a recent meeting on schools and the economy. So schools, nonprofits and government agencies are all trying to spread the word about the summer program to ensure kids return in the fall with healthy bodies and minds. Parents can call 211 or text “FOODTX” to 877-877 to find the nearest location where summer meals are being served. Spanish speakers can call the same number or text "COMIDA" to 877-877. Find when and where students can eat for free this summer using this map. Find more information on the following North Texas school districts participating in the Summer Food Service Program. Arlington ISD. You can also get free meals at these Arlington public library locations. Dallas ISD. You can also get free meals at these Dallas public library locations.